Bolon glasses are among the highest quality inside the optic sector. They are glasses with very attractive designs, adjusting perfectly to any face. Bolon glasses are designed to be the perfect fashion accessory. Sunglasses from this brand have high quality lenses in a wide variety of colours. Bolon takes care of details in their sunglasses designs. The brand designers try to surprise their fans and make them feel that they are wearing a unique product. Bolon sunglasses help to project a modern image. Each year millions of followers wait for the launch of Bolon new models. Bolon glasses have the highest quality lenses, offering 100% protection against UV rays. Their lenses are made with very light materials making the glasses very comfortable. The Bolon eyeglasses collection has a wide variety of designs, but all faithful to the brand’s style. They create very comfortable glasses that adjust very well to the face; you can use their glasses for many hours. Bolon glasses are made with the best materials, making them resistant and long lasting. Colours are another detail very characteristic from Bolon, achieving the perfect balance to be very attractive. To manufacture Bolon glasses high quality materials are used, as natural resin acetate and TR90 resin, among others. Metallic components are made from hyper-elastic steel. 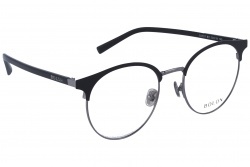 The 0.6mm of thickness allows a super light and elastic frame. With these materials Bolon achieves unique designs. This year Bolon glasses are represented by the international model Hailey Baldwin. She was delighted with the new Bolon collection and decided to accept to be the brand’s image. Undoubtedly, Bolon is a sensation inside the sector, attracting each year thousands of new followers. In Optical H we provide the purchase of Bolon glasses at best price with express shipping. Our professionals can assess you at any moment during the purchase to help you choose the best model for you.